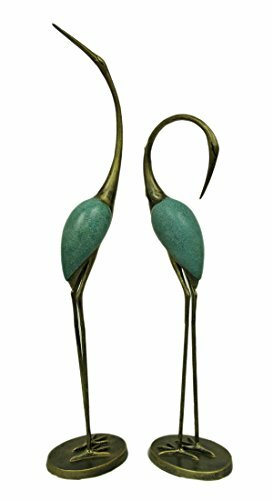 The SPI Home Stylized Garden Crane Pair Statue is a beautiful embellishment to any pedestal of your garden, yard, or patio. This pair statue is made from aluminum, which ensures years of reliable use. It features a combination of gold and blue finish that is powder coated to add a polished touch to it. Tall and slender, this pair statue is sure to give a noticeable appearance to your outdoor space. This pair statue looks eye-catching when placed in a pair. Also, it can look superb when placed separately in your garden. 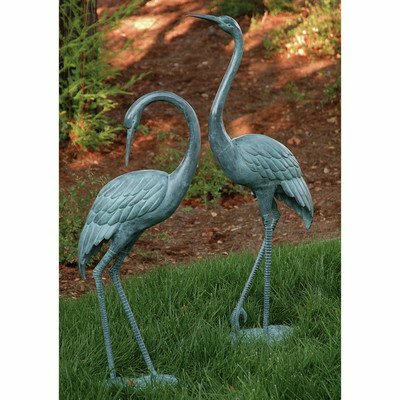 This Stylized Garden Crane Pair Statue from SPI Home helps accentuate the look of your outdoor space. 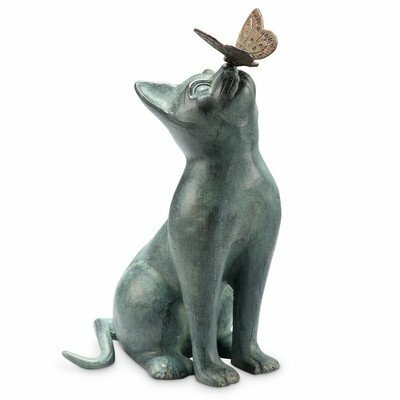 SPI Home Cat and Butterfly Curiosity Garden Statue Green 7.5" x 10.5" x 15"
33847 Features: -Material: Aluminum. -Style: Traditional. -Animal theme . 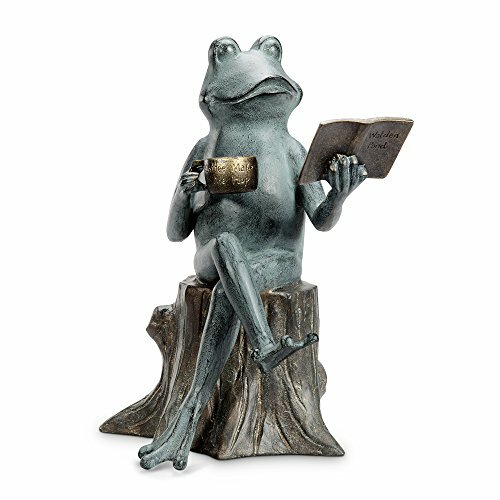 Product Type: -Statue. Color: -Green. Style: -Traditional. Material: -Metal. Theme: -Animal. Dimensions: Overall Height - Top to Bottom: -15".